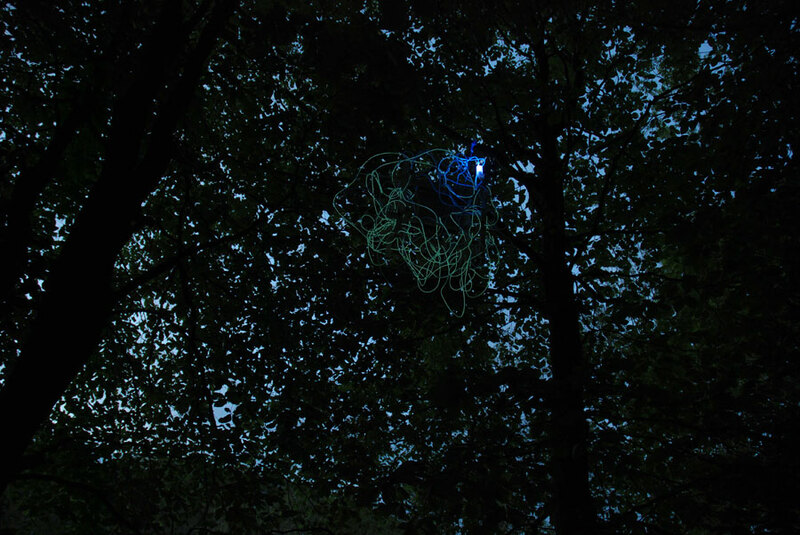 Part sculpture, part moth trap, Mothmusic was suspended between several trees in a wooded valley in Carmarthenshire, South Wales. 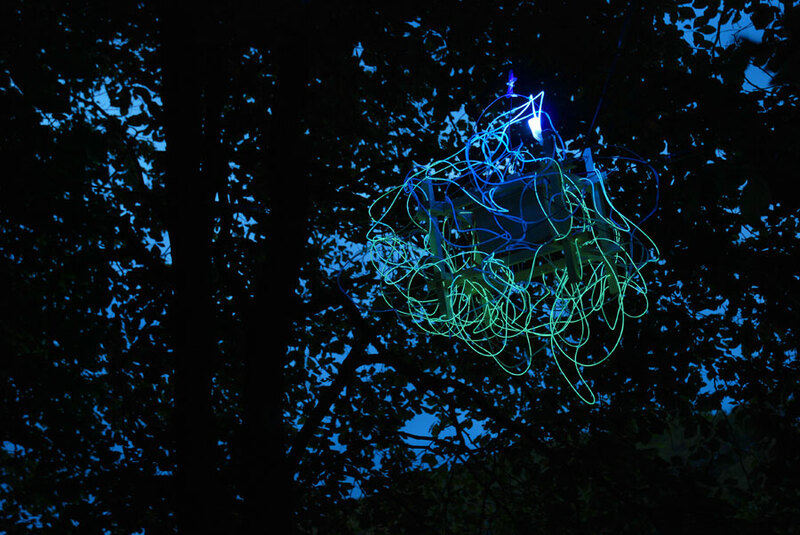 During the hours of darkness, the sculpture activated and started to respond to sound in its immediate environment. It responded to rain, wind, music and other sounds. Shouting at it, elicited a response. Every 15 minutes or so, the work ‘played’ (in light) a short selection of West Coast hip-hop. 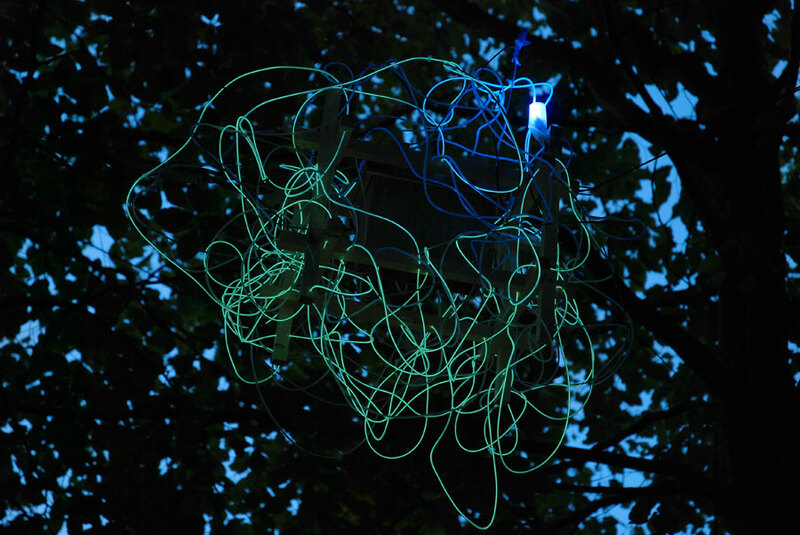 The audience for the work was mainly moths and nocturnal insects, drawn to the structure with ‘blacklight’. Bats, owls, foxes, shrews and dormice were also welcome to attend. During daylight hours, the structure was be visible but not active, sometimes containing remnants of the night’s audience. 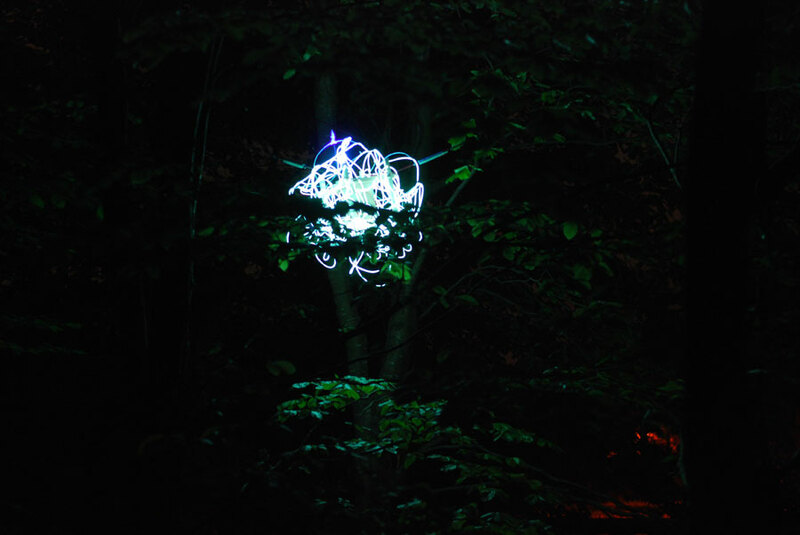 As with several recent works, Mothmusic tries to shift how we think about familiar environments, asking people to engage with them, physically or via the imagination, at night. It draws on childhood fears, fairy stories and entomology.